In the brandnew series, “Food Courting” airing on LiveStrong.com over the next few months, I’ll show you how you can enjoy all your favorite food court meals the healthy way. In this second episode, it’s all about the comfort and taste of takeout without the high levels of sodium, sugars or calories. Tune in to learn how to make a savory Asian chicken and broccoli dish. This quick stir-fry that you can easily whip up at home will not only help you get your Chinese take-out fix, but will let you escape the food court for healthy fare that you can enjoy on a regular basis right in your own kitchen. 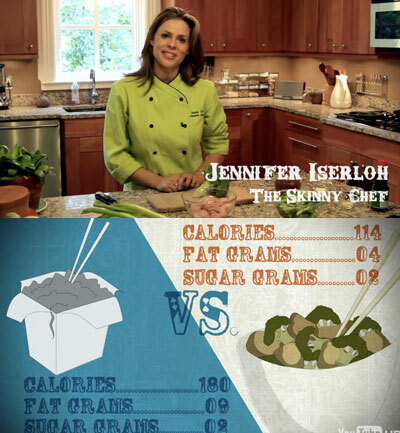 Just watched your episodes – Asian Chicken and Broccoli – how do you get the recipe?